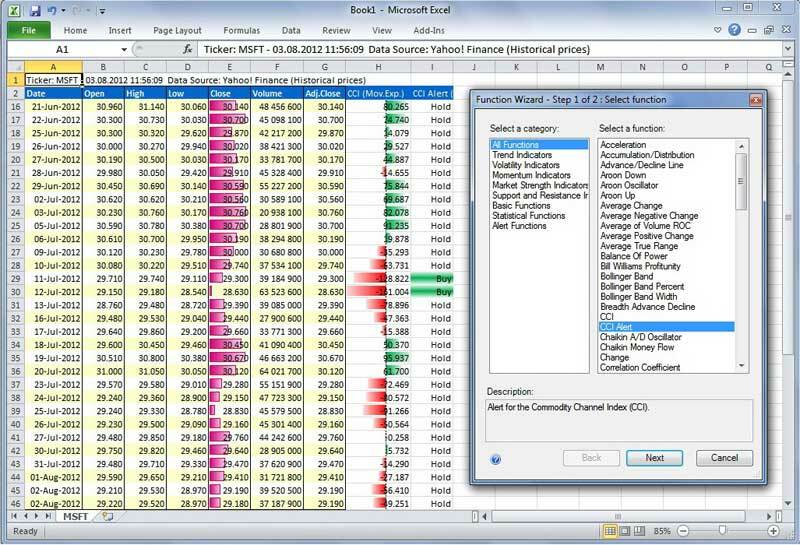 AnalyzerXL Pro is an add-in for Microsoft Excel 2010 designed to help you create trade systems and conduct technical analysis calculations directly in your worksheets. Technical Analysis is essentially the methods of predicting the price movement through the use of chart patterns and market indicators. AnalyzerXL Pro Technical Analysis Functions Library allows you to produce your own trading system using all power of Microsoft Excel 2010 environment. Statement: First, please download the orginal installation package by clicking the download link. Of course you may also download it from the publisher's website. Using AnalyzerXL Pro crack, key, patch, serial number, registration code, keygen is illegal. The download file hosted at publisher website. We do not provide any download link points to Rapidshare, Hotfile, Depositfiles, Mediafire, Filefactory, etc. or obtained from file sharing programs such as Limewire, Kazaa, Imesh, Ares, BearShare, BitTorrent, WinMX etc. Software piracy is theft. If you like AnalyzerXL Pro please buy it.